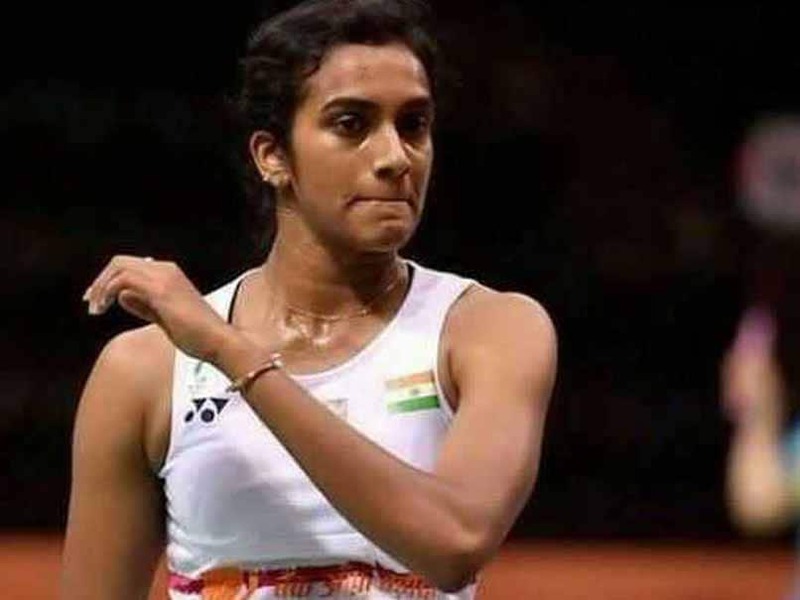 PV Sindhu beat Nitchaon Jindapol of Thailand in the second round of the All England Open. 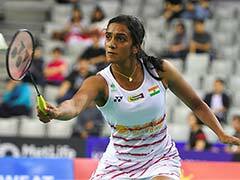 India star PV Sindhu survived a scare to beat Nitchaon Jindapol of Thailand in the second round of the All England Open on Thursday to proceed to the quarters of the tournament. The match that lasted one hour and six minutes, saw the Indian win the game 21-13, 13-21, 21-18. After winning the first game easily, Sindhu found it difficult to dominate her opponent and gave the game away easily. In the third and last game, it was neck and neck till the end but at 18-18 Sindhu took three straight points to wrap up the issue. Earlier, Saina Nehwal on Wednesday suffered a first-round exit from the All England Championship after a straight-game defeat against World No. 1 Tai Tzu-Ying. Saina, who had reached the finals in the 2015 edition, went down 14-21, 18-21. It was Saina's eighth successive loss to the Taiwanese wizard in five years. After failing to keep pace with Tai Tzu in the opening game, the 27-year-old Indian blew a 16-11 advantage in the second game. Saina, who had lost to Tai Tzu in the finals of the Indonesia Masters early this year, showed a lot of grit to keep herself in the rallies but the Taiwanese was simply phenomenal and displayed her mastery of strokes in the 38-minute clash to once again outwit the Indian. Saina took some time to get in the groove as her first serve sailed over to the back of the court. Tai Tzu didn't waste time and jumped to a 3-1 lead before moving to a 6-2 advantage when the Indian failed to connect a low backhand return. Tai Tzu committed a couple of unforced errors but Saina also made a judgement error on the sidelines and also couldn't reach for a return at the forecourt as the Taiwanese lead 9-4. 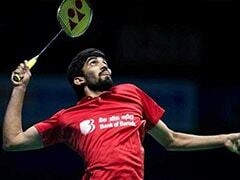 The Indian, however, grabbed three consecutive points after Tai Tzu erred with a cross court flick and netted the smash. Saina managed to level 10-10 with a precise cross court return from the back of the court but Tai Tzu went into the break with a slender one- point lead. The duo moved together till 14-14 after the breather before Tai Tzu showed her repertoire of shots even as Saina struggled with her control. Once she again went wide on a return on serve, Tai Tzu had six game points and she grabbed it with another accurate return on the Indian's back hand. In the second game, Saina showed better control as she opened up a 3-1 lead and soon made it 10-7 with Tai suffering a mid-game slump with unforced errors. Saina then unleashed a brutal smash to enter the break with three point advantage. With the Taiwanese sending the shuttle to the net on four occasions on the trot, Saina managed to lead 16-11. But Tai Tzu once again fought back, riding on her accurate stroke play as she made the Indian run across the court with her acute angled returns. Saina also found the net and sent one long as Tai Tzu narrowed the gap to 15-16 before drawing parity at 17-17 with another razor-sharp cross court return from the back court. A brilliant block on the move and then a tight net play took the Taiwanese to 20-18 and she shut the door on the Indian after Saina went long again.